As the media predictably attempted to lambast President Trump for serving an all you can eat fast food buffet at at White House gathering to honor the Clemson football program, some players on that same Clemson team are pushing back in the president’s defense. Apparently the fake news media is once again spinning a false narrative. 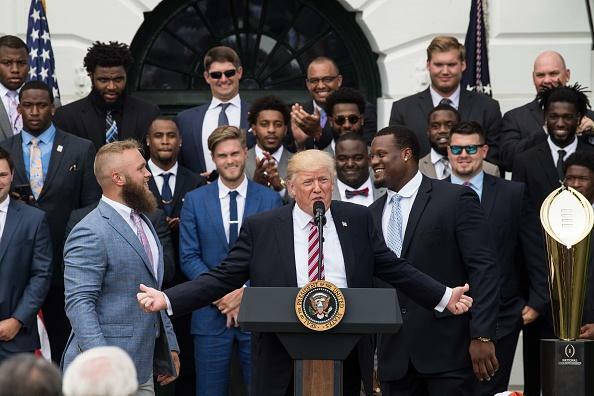 The players loved the opportunity to go to the White House, were honored to be hosted by President Trump, and found the meal pretty darn tasty.